School friends of a 14-year-old girl murdered in the Manchester Arena attack have "lost a sister, not a classmate", her teacher said. Nell Jones, a pupil at Holmes Chapel Comprehensive School in Cheshire, was confirmed as one of the victims of Monday night's suicide bombing. Fellow pupil Freya Lewis was hurt and is stable after 10 hours of surgery. Twenty-two people died and 64 people injured when Salman Abedi blew himself up outside the Ariana Grande concert. Greater Manchester Police said they were confident they knew the identities of all those who died. 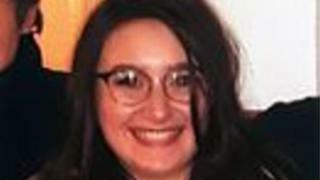 In a statement the school's head teacher Denis Oliver said: "Nell's family have been searching for her since the incident in the hope that they would find her being cared for in hospital. Unfortunately, the police have now confirmed that Nell died at the scene." He said everyone was "devastated" by her death and students and teachers had "reflected together on memories of Nell and shared their grief together". Mr Oliver said he had met her parents on Wednesday and offered sincere condolences on behalf of everyone at the school. "I cannot imagine the loss they must feel," he added. Form tutor Mr Wheeler said Nell was a "very popular girl" who was "always smiling, always positive". "Her tutor group have been together since the transition from primary school," he said. "It feels like they have lost a sister not a classmate." Freya, a Year Nine pupil along with Nell, is recovering in hospital, her father Nick Lewis said. "Our situation is impossible to describe, but the amazing support that everyone has shown us has been breathtaking," he said. He thanked hospital staff and said they faced a "long climb" but they had taken the first step. "We have some very personal conversations to have with people we had never met until what seems just a few hours ago and 'thank you' feels so inadequate," he added. Police arrested three people in the city on Wednesday, after detaining Abedi's 23-year-old brother on Tuesday.